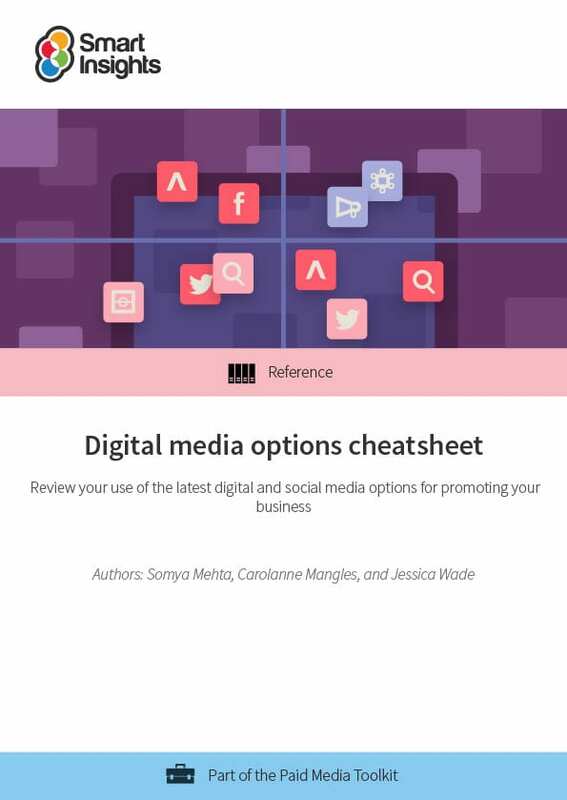 The sheer number of organic and paid media options and updates makes it difficult to know whether you're missing out on the best targeting options and whether your marketing budget could be better spent. We track all the changes made each week to identify the most important ones that every 'hands-on' marketer needs to be aware of to test the latest approach to improve marketing for their business. Format: Excel spreadsheet with a row for each significant update to the 8 main digital marketing platforms with links through in Column B to the platforms about the implementation details you need to know – often the navigation of the platforms can make it difficult to find the best description, so we try to help here. Somya Mehta is the Content Editor, Copywriter and Jr. Marketing Executive at Smart Insights. 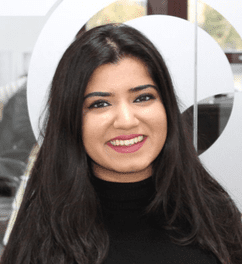 Maintaining the high quality of Smart Insights member resources, working on lead-gen email marketing campaigns, contributing to the blog and social media marketing for Smart Insights, Somya works across various different touch points on the customer lifecycle. You can connect with her on LinkedIn or follow her on Twitter. 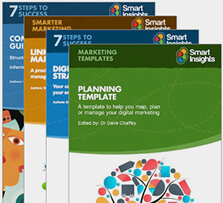 Annie (Carolanne Mangles) is Smart Insights’ Digital Marketing Executive and Blog Editor – she writes on a range of topics – SEO, Analytics, Content Marketing and Digital Marketing Strategy and Planning – to bring you the best advice on all things new in Marketing. You’ll also find her travelling and exploring new parts of the world when she is not writing. You can connect with her on LinkedIn. Jess (Jessica Wade) is a social media expert with a focus on social media channels and social strategy. She loves all things social, most of the time you will find her endlessly scrolling through Instagram. You can follow Jess on Twitter or connect on LinkedIn.